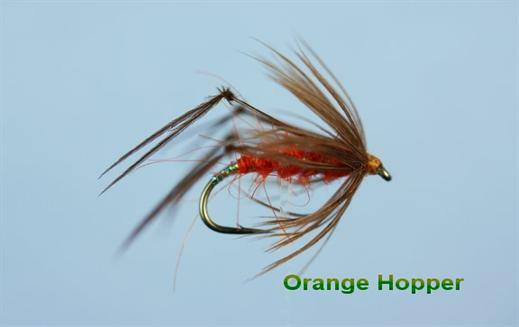 The Orange Hopper is a versatile pattern that will sit temptingly, hanging in Surface Tension with legs dangling. It can also be fished wet, static or twitched. There are not many splashy takes with this fly, just nice confident slurps from brown trout. Currently there are no comments about the Orange Hopper fly pattern from other fly fishermen yet.